I have begun the process of cataloguing, transcribing and scanning a series of letters which my Father, Jimmie Lee Collester, wrote during his time in the US Army during the 1950s. I hope that my family members will enjoy reading these, as well as anyone doing research for Historical reasons. 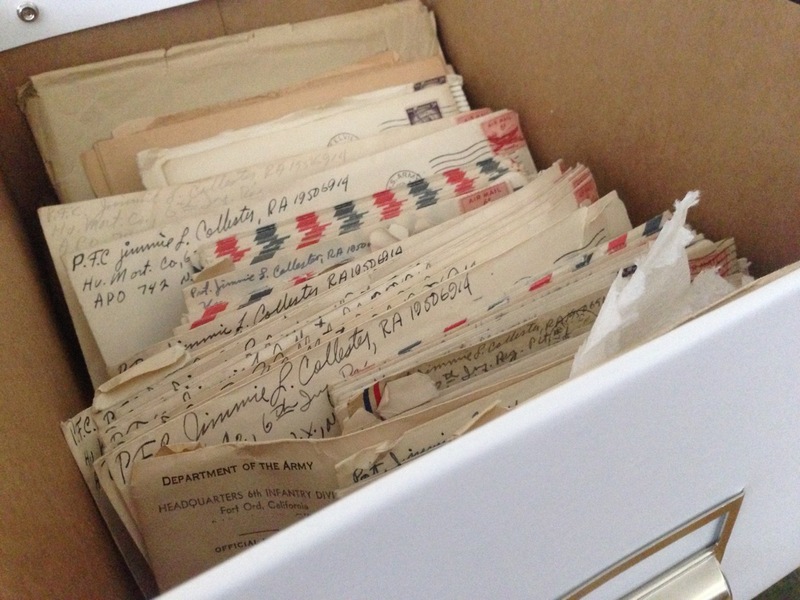 If you have a stash of letters from someone who was in the US Military; before you throw them out, consider donating them to an archive for people studying this subject. One such Archival Project is The Legacy Project (located on the web at www.warletters.com). If you’ve done interviews with family members or other Military Vets, you can contribute transcripts and audio to the Library of Congress’ Veterans History Project (Online at www.loc.gov/vets/). Oh, well, it can’t hurt my birthday anyway. Home sick … way down inside. The weather is just plain crappy . . .